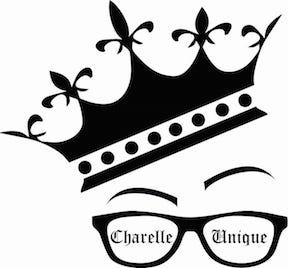 Charelle Unique, a talented young vocalist who hails from Akron, Ohio; began singing in her local church at the tender age of three. Charelle participated in the Coventry High School Music Program and began formal training in classical music at Kent State University in 2006.
and has become a local favorite of many Karaoke die-hards. Ms. Unique was the featured artist on the Trinity Broadcast Network 2014, and is a recorded vocalist on the top 10 billboard Hot Singles Chart for the gospel hit Freedom by Dr Sheila Johnson-Hunt. She has performed at a number of community events including the Martin Luther King Celebration (Kent,OH); The Annual Summit County Juneteenth Festival (Akron,OH); the KSU NAACP Umoja Unity Festival (Kent,OH); the KSU Darfur Peace Educational Awareness Forum (Kent,OH); the City-Wide Back To School Jam (Pgh,PA); The Best of Sunday Gospel Extravaganza (Pgh,PA); Soul Café presented by the Pittsburgh Black Media Federation (Pgh,PA); Toshi’s Living Room (Harlem, NY); and Songs In The Key of Worship (Harlem, NY); just to name a few. She has also performed in musical tributes dedicated to the contributions of both Aretha Franklin &amp; Patti Labelle. She has also worked as a vocal coach for a number of local artists including the Firestone High School Gospel Choir. Her gift allowed her the opportunity to be the lead actress in the gospel plays The Day the Devil Died as Corrine and Mama I Want To Sing as Doris Troy. private weddings. Lastly she has performed as an opening act for the comedian Michael Winslow, neo-soul singer Dwele, R&B singers Guy, H-Town, Jagged Edge, & The Whispers. ability as a positive coping mechanism for her pain. She finds her inspiration through modern R&B, Neo-Soul, & Gospel artists and creates her own lyrics through life experiences, tests, and trials. Charelle’s quirky but confident persona has a relatability that captivates the hearts of concert-goers and judges alike. She uses her sense of spirituality & musical abilities to be a “voice for the voice-less”. open to receive it, and hope to those who have lost their faith. Charelle Unique is currently on tour throughout Germany and Switzerland from Nov 26th until Jan 3rd. Please email her for future bookings. Thanks so much for your support!!! !